Who doesn’t love Pattice/ tikkis? Every Indian is obsessed with tikkis, whether it be in a burger, in a chaat or just by itself. 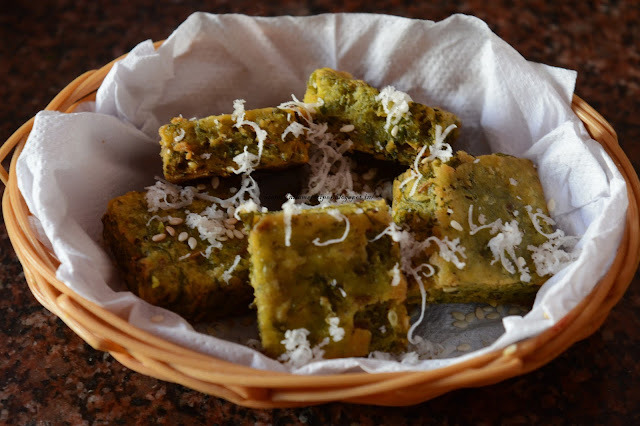 This pattice is made with potato & peas, indeed one of the best combinations in Indian Cuisine. When these boiled & mashed potatoes-peas and spices bind together, they are ready to be deep fried to form irresistibly mouthwatering Matar Pattice. This tikkis taste best with mint/coriander chutney or tomato ketchup. You can also serve these, pressed in buns as a burger or replace the normal aloo tikki for your aloo tikki chaat. We have some similar recipes posted that you might want to have a look at: Kobichi Vadi, Pudachi Wadi Recipe, Vegetable Cutlet Recipe, Moong Dal Vada, Sabudana Vada Recipe. Heat little oil, add cumin seeds, asafoetida and sauté for 2 minutes. Add matar (green peas) sauté for 2-3 minutes. Turn off the heat and mash it or you can even grind it into a mixture. Add lemon juice, sugar, ginger garlic paste, turmeric powder, salt and mix well. Take boiled potato and mash it. Add sugar, salt, lemon juice, ginger, garlic and green chilly paste, corn flour and mix it well. Make lemon sized balls of potato mixture. Grease your palm with little oil. Take one ball of potato and make a deep hole with your thumb make a bowl and place a mixture of stuffing in the center of it. Bring the edges together towards the center and join all the edges and pinch them. Make sure the stuffing doesn’t come out from any side. Dust the balls in corn flour. Heat oil and deep fry the pattice on a medium flame till they turn light brown in colour. Serve hot with coconut chutney or ketchup. 1) Heat little oil, add cumin seeds, asafoetida and sauté for 2 minutes. 2) Add matar (green peas) sauté for 2-3 minutes. 3) Turn off the heat and mash it or you can even grind it into a mixture. 4) Add lemon juice, sugar, ginger garlic paste, turmeric powder, salt and mix well. Set aside and let it cool. 2) Mash potato, add sugar, salt, lemon juice, ginger, garlic and green chilly paste, corn flour and mix it well. Make lemon sized balls of potato mixture. 1) Grease your palm with little oil. Take one ball of potato and make a deep hole with your thumb make a bowl and place a mixture of stuffing in the center of it. 2) Bring the edges together towards the center and join all the edges and pinch them. 3) Make sure the stuffing doesn’t come out from any side. Dust the balls in corn flour. 4) Heat oil and deep fry the pattice on a medium flame till they turn light brown in colour. 5) Serve hot with coconut chutney or ketchup.